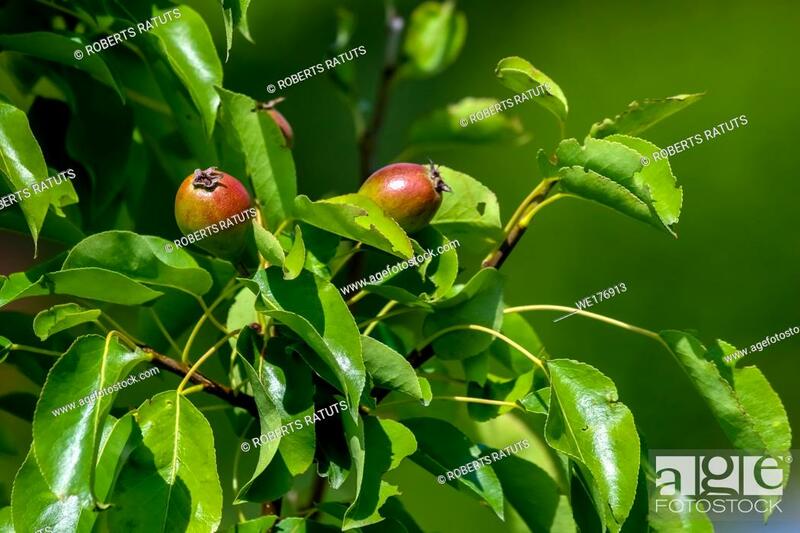 Stock Photo - Little pears on tree branch. Unripe pears on tree. Pears in garden. Summer fruits in Latvia.